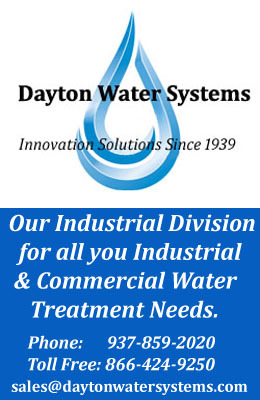 Dayton Sofwater Co., in addition to our Reverse Osmosis Units, we handle a full line of Whole House Filtration Systems. Depending upon your particular needs, we carry and install a full line of whole house filters for, sediment, sand, iron, organics, hydrogen sulfide, suspended solids, carbon dioxide, to even UV Light filters for any type of bacteria. Whether you are on a well service or have a taste or smell problem .. we have the solution. And we are just a phone call away. * Tired of rust stains on your sinks ? * Tired of that iron taste in your water ? * Are you tired of rust stains on your laundry ? 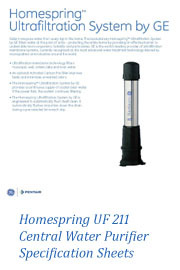 Call us for Whole House Filtration ! 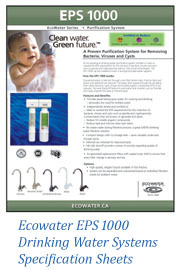 EPS 1000 Is a microbiological drinking water purification system certified to meet or exceed the EPA requirement for removal of bacteria, viruses and cysts, such as cryptosporidia without ultra violet technologies. The EPS can be installed on both municipal and well water supplies. Kills 99.9999% of all bacteria, virus and cyst. These units will take care of any and all microbiological problems. A must for hot tubs and spas. 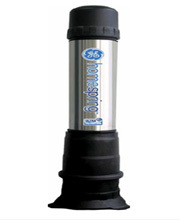 All systems have the capacity to effectively filter water from either surface/lake, well, or municipal water supply. 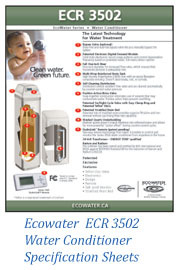 Pre-filtration may be required depending upon water. Sterilizes biological contaminants in water. Often used for drinking water, hot tubs and swimming pools. 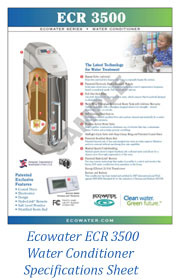 We carry a full line of Ultra Violet Sterilization equipment from several manufactures. 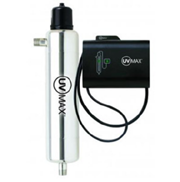 Whatever Your Water Filtration Needs Are … We Have Your Solution !